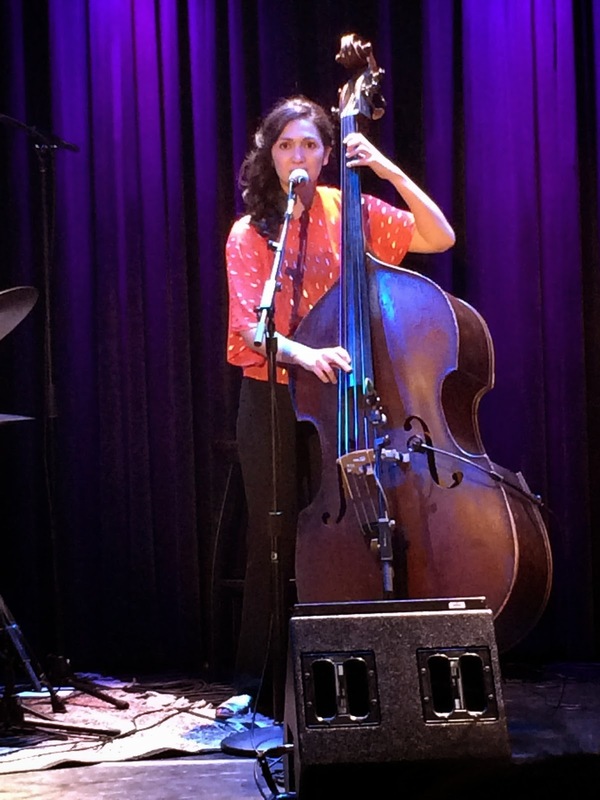 This past week I went to see Katie Thiroux on at Berklee's Cafe 939 on Wednesday; as well as a double bill at Sanders Theater on Friday - Cécile McLorin Salvant and the Christian McBride Trio. A quote that I recently came across struck me: "A picture is a poem without words". Building off of my previous post, "A picture is worth..." I wanted to share pictures, music, and ideas from this week of music. I hope these pictures can bring poetry out in a silent way. Katie Thiroux performed at Berklee's Cafe 939 as part of a WBGO Concert Broadcast of The Checkout. The event was also a CD release concert for her new album, "Introducing Katie Thiroux". Her group includes Roger Neumann on tenor saxophone, Graham Dechter on guitar, Matt Witek on drums, and Thiroux on bass and vocals. Thiroux talked about her love of the bassist Ray Brown and Anita O'Day during the concert. Thiroux even said that Lionel Hampton's silly song, "Rag Mop" inspired her to play jazz. Thiroux's mixture of standards and original compositions brought life to the set list. In addition, Thiroux changed instrumentation between songs; she played solos, duos, trios, and quartets. Her personal mixture of singing while playing bass created a call and response between each phrase of the melody. A standout of the concert was an original composition, "Ray's Kicks", which was inspired by a pair of Ray Brown's shoes that she owns. The collaboration between Thiroux and Neumann created a fresh balance of sound. Neumann's tone was light and airy, which blended well with Thiroux's more subdued vocals. Cécile McLorin Salvant is a very exciting young vocalist. She performed with her group including Aaron Diehl on piano, Rodney Whitaker on bass, Herlin Riley on drums, and Cécile on vocals. I enjoyed her unique, hilarious interpretations of songs. My favorite interpretation she did was the Cinderella song, "What's the Matter with the Man? ", which is from the perspective of the ugly stepsisters. Cécile brings a lot of character to the lyrics, and she made me burst out laughing many times from this! I saw the Christian McBride Trio last May at Scullers, and was absolutely floored by the energy, camaraderie, and enthusiasm of the group. This time even exceeded my high expectations from last year! McBride's group included Christian Sands on piano, Ulysses Owens Jr. on drums, and McBride on bass. MrBride picked diverse songs, mixing soul from Michael Jackson's "The Lady in My Life", to "Down By the Riverside", to the theme song from "Carwash". I will always think of McBride as one of the best bandleaders - his mixture of wit, humor, and passion for music draws the audience in. 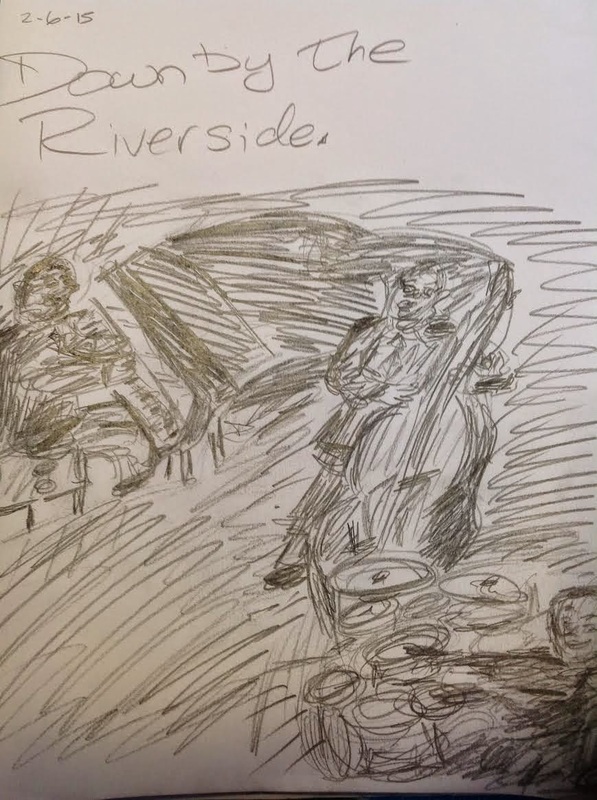 I have seen McBride play with his band "The Inside Straight", with the Jazz at Lincoln Center Orchestra, and with his trio - no matter what group McBride plays with he brings enough energy to power an entire city! A picture can truly create a poem! All photographs were taken by Paul Burega and all drawings were done by me. Please visit my jazz poetry blog, "Without a Poem" where I improvise a new poem everyday. 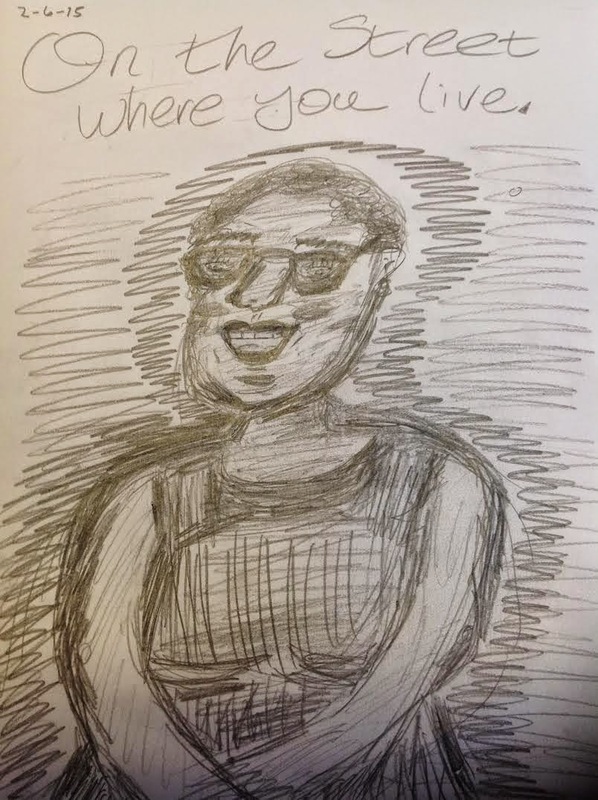 I also have a song and drawing of the day, so stay up to date! This week inspired me to write my poem, "Beat".